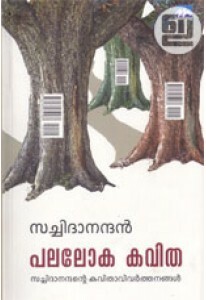 Naganmarude Rahasyam is the Malayalam version of 'The Secret of the Nagas', the second book of the Shiva Trilogy by Amish. It is translated by Rajan Thuvara. Shiva’s journey takes him across the length and breadth of Swadweep, to the land of the Brangas and further south, deep into the Dandak forest. Shiva searches for the truth in a land of deadly mysteries – only to find that nothing is what it seems. 'Naganmarude Rahasyam' takes up from the point where Shiva is dashing to save Sati at the end of The Immortals of Meluha. Does he succeed? His archenemy seems to be winning every encounter. All Shiva knows for sure is that the Chandravanshis aren’t evil. But then, neither are the Suryavanshis. So who or what is evil? And who is the mysterious Naga that stalks his family? What does he want? What is the secret of the Nagas?